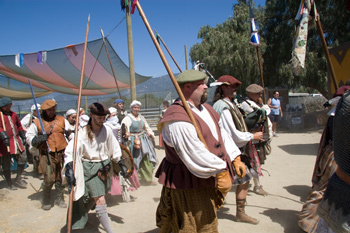 The Renaissance Pleasure Faire Artisans’ Market at the Santa Fe Dam Recreation Area in Irwindale opened on April 5 and runs thru May 18th. Officials gather in front of the gate discussing important festival matters. 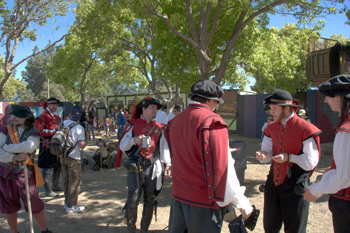 Costumed actors mingle with visitors showing wares, joking and occasionally being a little Elizabethan! Enjoy the election – all the Candidates for Mayor have the same campaign manager and want your vote. Singing, crafts, shows, mischief & merriment. Peasants & artisans leave the field of battle to make room for Knights of the Realm to do battle on horseback. 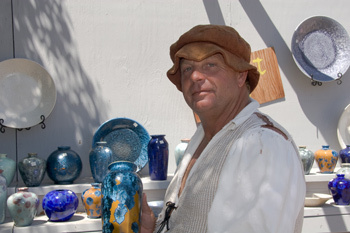 Local Artisan, Jon Price, and his ceramic wares. 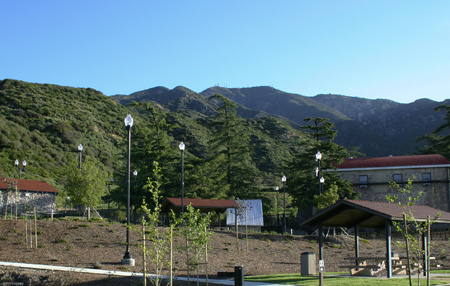 The Deukmejian Wilderness Park was originally the winery of the Mesnager family. 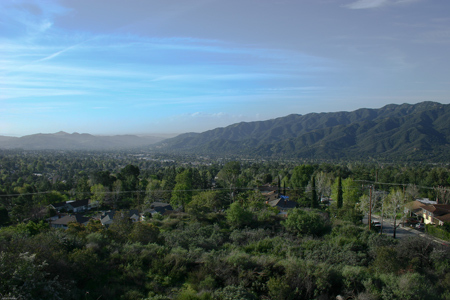 Overlooking La Crescenta neighborhoods, this view of the Verdugo Hills is enjoyed by many homeowners in the area. 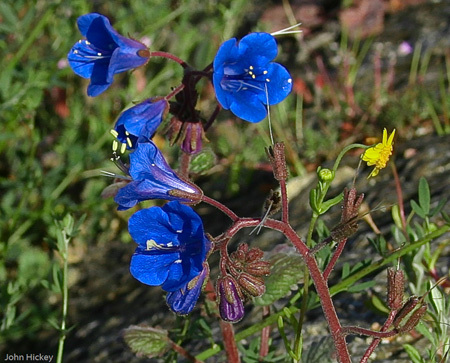 The child in everyone’s heart enjoys wildflowers.